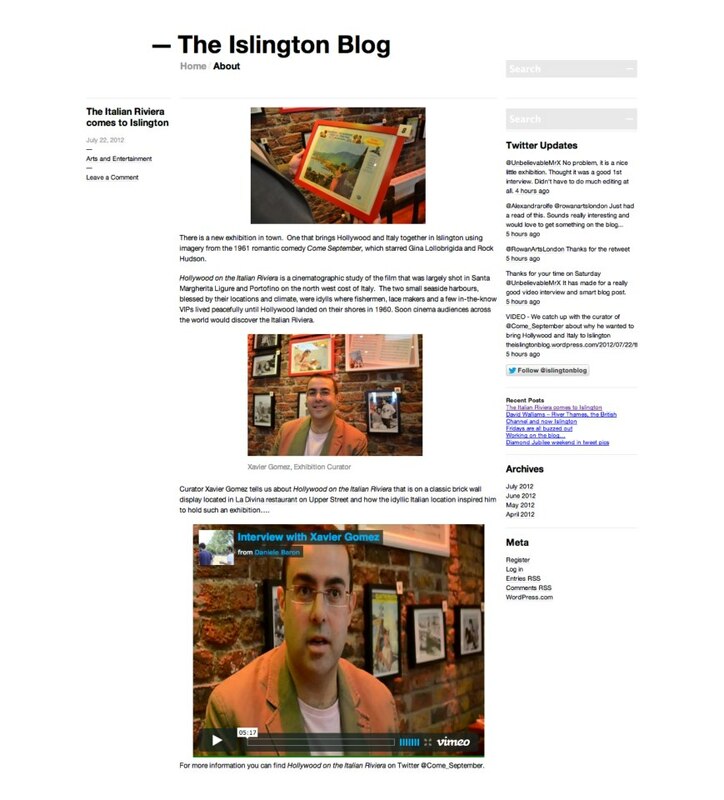 While covering Lights, Camera…Islington! 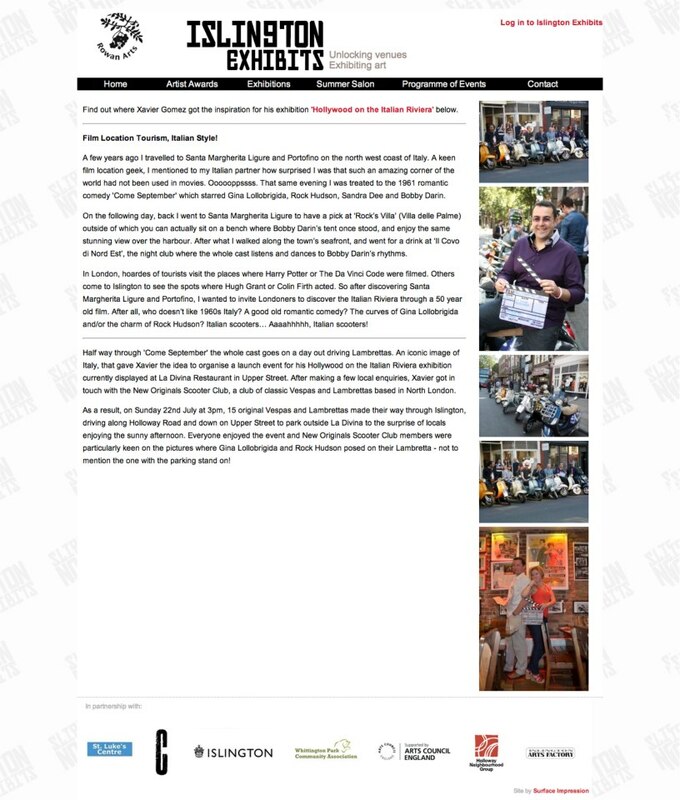 a film tourism project on the London borough where I live, Yannic Rack from St John Street News went back to the roots of my interest in From the Italian Riviera to Islington with a beautiful picture of Portofino! 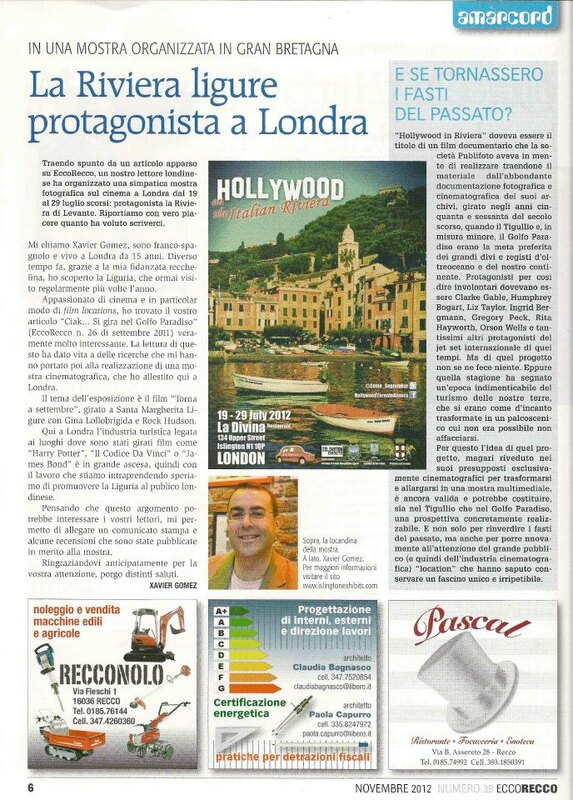 July 2012: In July we hosted our first Hollywood on the Italian Riviera exhibition in Islington, London and it did go down rather well! 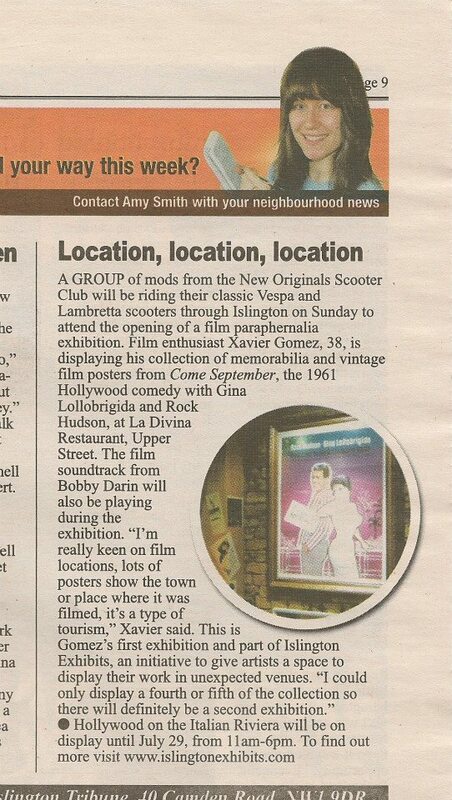 Amy Smith from the Islington Tribune talked about our upcoming exhibition and launch event with the New Originals Scooter Club. 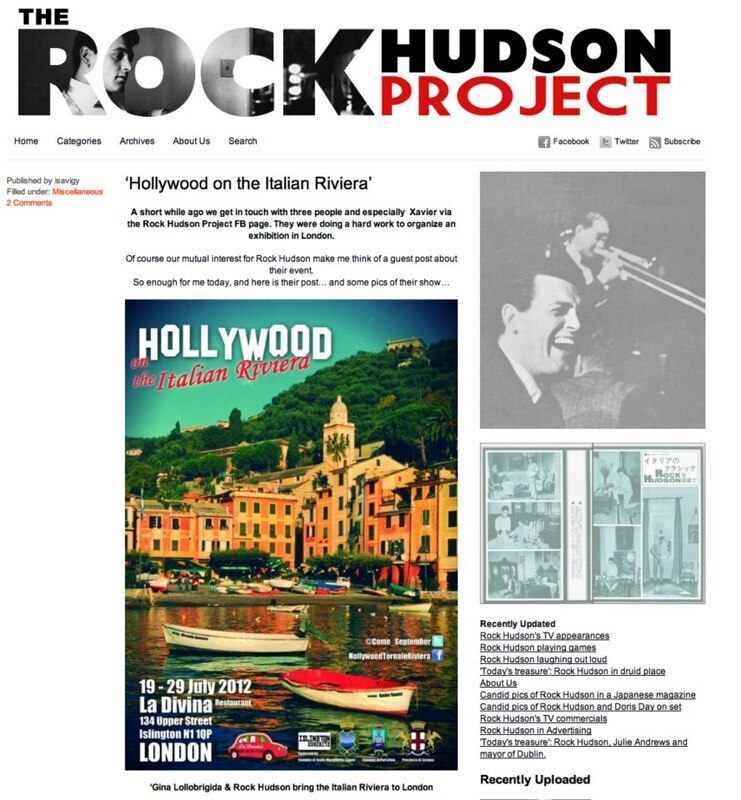 The Rock Hudson Project – Guest post: The ladies behind this amazing blog where Rock Hudson fans can, and will, find everything they have ever wanted to know about Rock, kindly invited us to write a post about the exhibition. 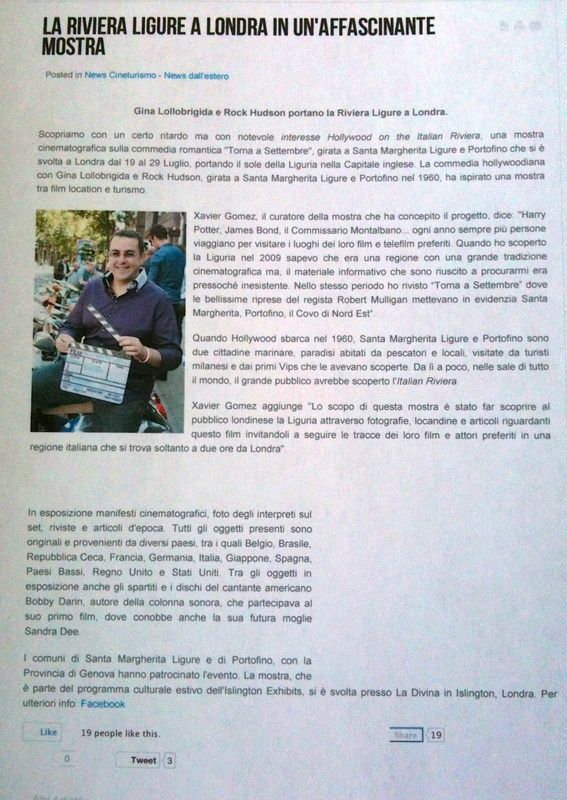 In fact, that was our first post ever!